Thanks to its position, its temperate climate and its shape, Bellagio can be chosen and remembered with pleasure for holidays of a very different kind, from the quiet ones on the lakeside to the sports ones around the peninsula. Despite being close to the mountains, Bellagio has the fortune of a Mediterranean climate that has encouraged the growth of olive trees and gives life to the great spring blooms of azaleas that attract fans of flowers from all over the world. Among the most famous gardens visited: Villa Serbelloni - Rockefeller Foundation, with plants from all around the world, Villa Melzi whose park was created by the same architects of the Gardens of the Royal Villa of Monza, both in Bellagio. The Bellagio area is also ideal for sports holidays. On the lake you can practice sailing, water skiing, kayaking and rowing, while trekking and cycling routes wind through the promontory, with breathtaking views of the lake and the surrounding mountains. 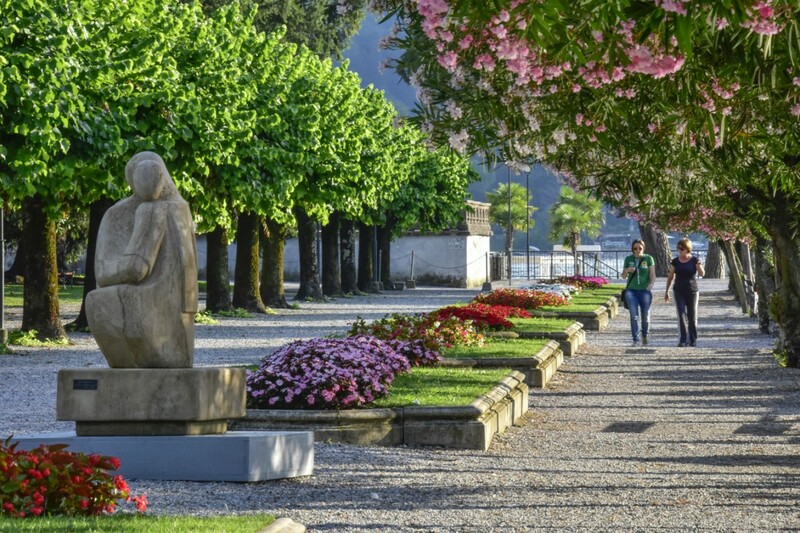 Close to Bellagio is located the Sanctuary of the Madonna del Ghisallo (protector of cyclists), home to a museum with relics of great champions. For those who prefer shopping to sports activities, there are numerous boutiques, small shops and craft shops where tradition blends with the culture of the place.